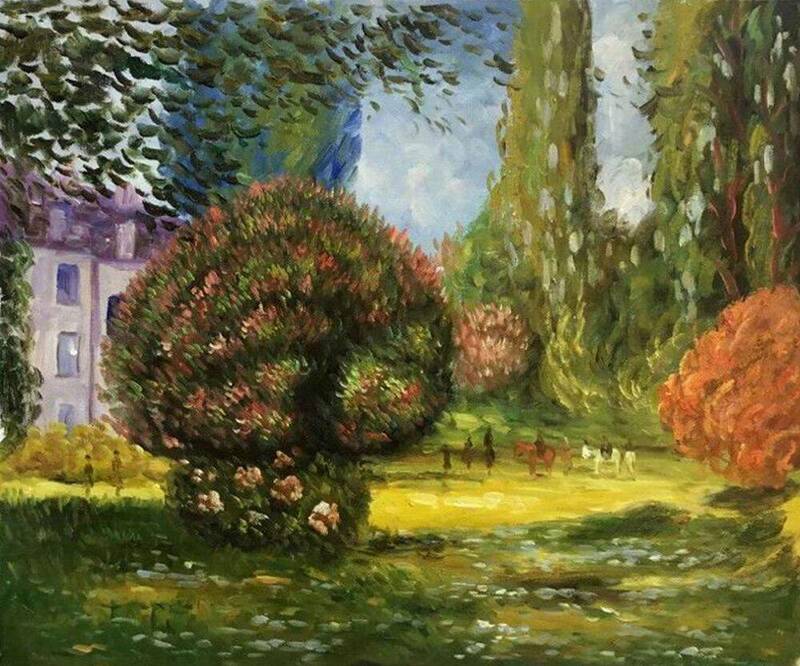 A lovely representation of Impressionistic technique, Il Parco Monceau, 1872 explores the reflection of light in relation to color, and the idea of overall perception being more important than the reality. 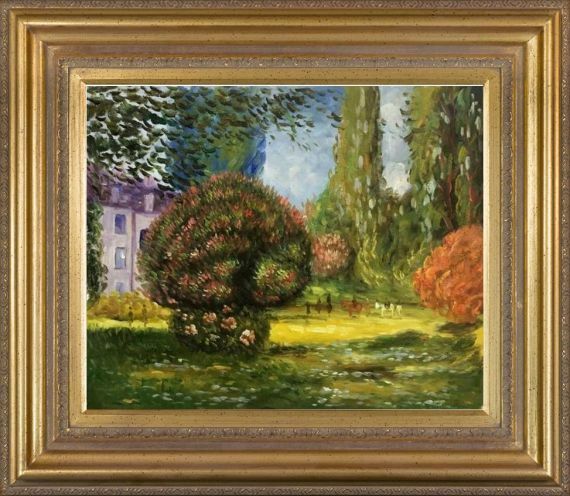 Stunning fall color and complicated composition in this detailed landscape speaks to the expertise of the artist. 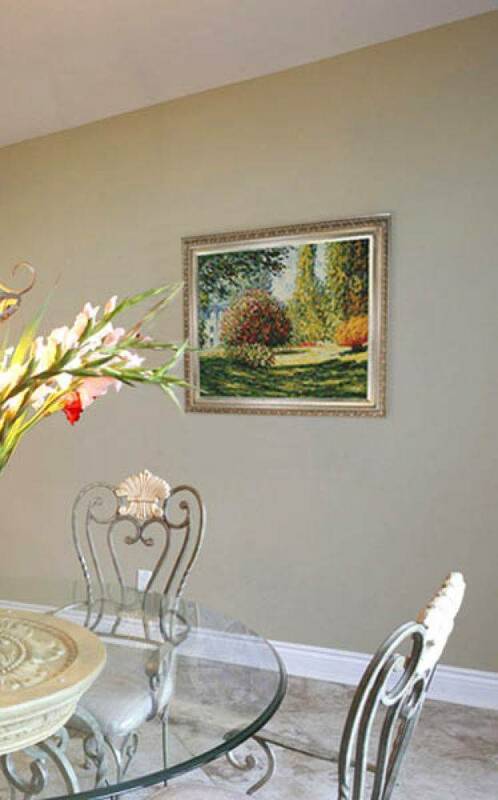 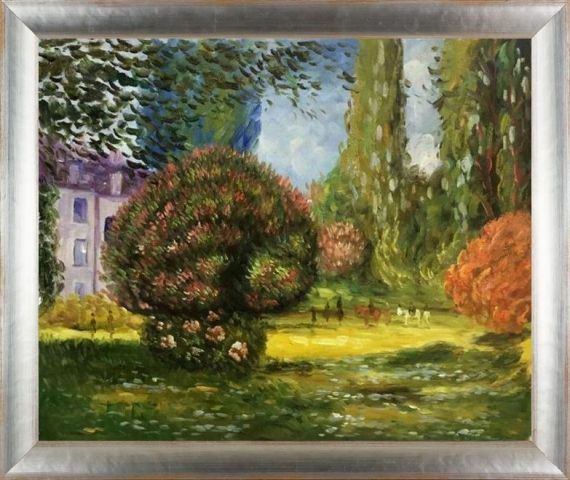 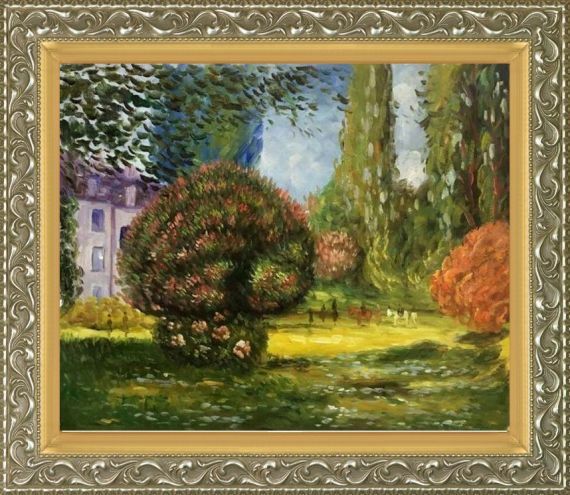 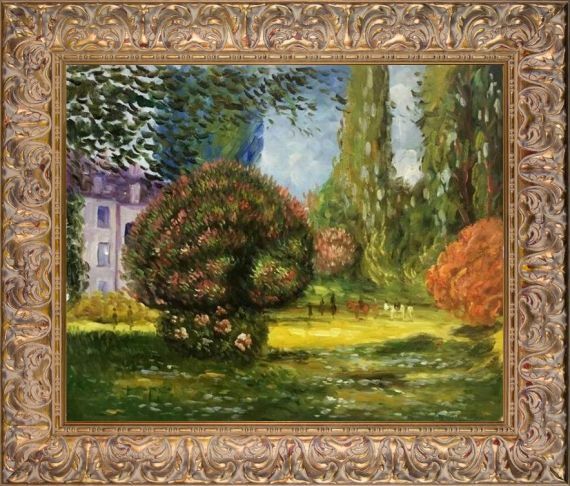 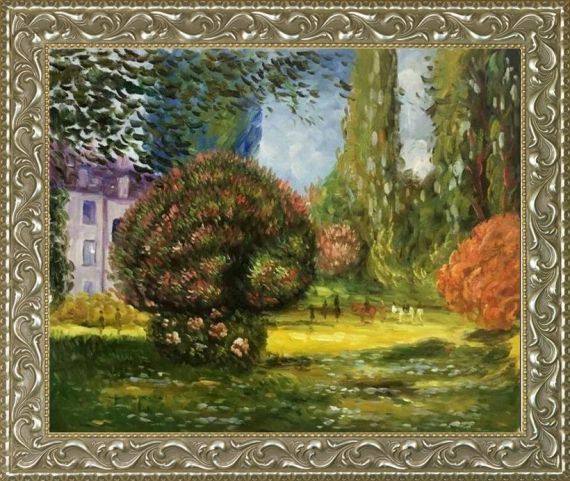 The focus of the painting is the pink and purple bush in the center, framed beautifully but the lush green around it. 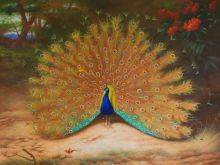 A lovely addition to any room, this painting will hold the attention of all who gaze upon it.